Klingle Farm at Gettysburg available from Buildings in Turmoil at Fall In! John Mayer of Buildings in Turmoil will have this impressive model of the Klingle Farm available for sale as an unpainted kit at the 2012 Fall-In wargaming convention in Lancaster, Pennsylvania. The farm was just across the road a short distance from the Scherfy farm. It was recently restored to its original appearance. John will also have some other new items available at the show which he is not announcing at this time. 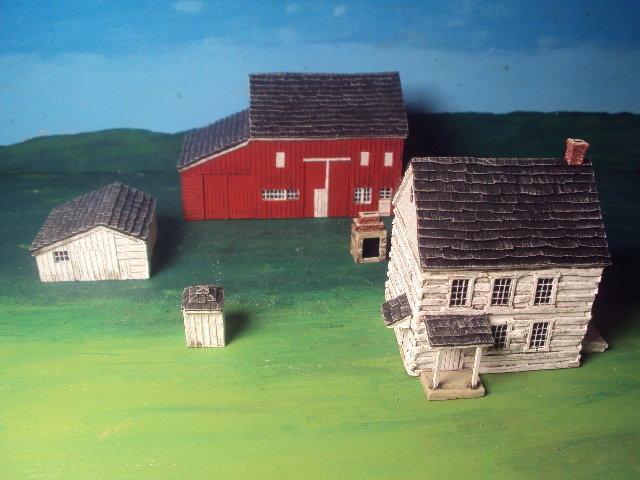 For more information on John’s entire line of 10mm Gettysburg buildings, visit his website for Buildings in Turmoil.